So, my only question is, what possessed Billy Gibbons to be caught anywhere near this Shatnerized version of the Christmas classic? Hmmm…the world may never know. 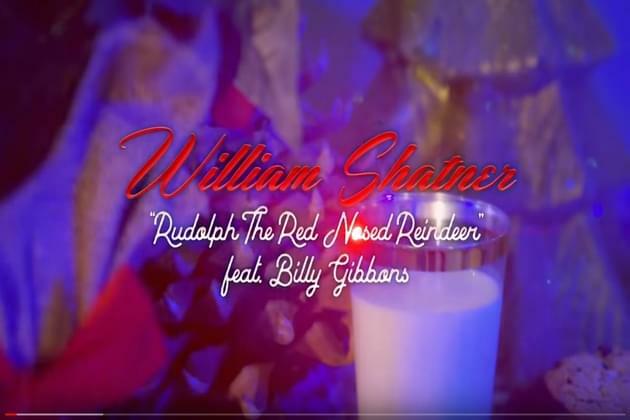 So, without further ado, ripped straight out of William Shatner’s new Christmas album, “Shatner Clause” here it is, with ZZ Top legend, Billy Gibbons rippin’ those reindeer guitar riffs, Rudolph the Red Nose Reindeer, or something like it…… Enjoy and Merry Christmas! !